The New Standard has sure been fun since The Witchwood dropped. While I always enjoy the series, it is rare we get a chance to dive into so many on-the-fence archetypes that merit more exploring. Last week we took a look at Odd Warrior, and this week we continue with the interesting builds with a new type of Token Druid created and built by KreaHS. Though Hand Druid did not take off in the way many people thought, this version of the deck takes some of the principles behind that and generates an incredibly strong midrange machine. If you like swarms of small minions, this one's for you. 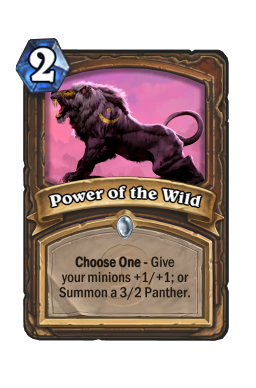 Power of the Wild Power of the Wild has long been a staple of Token Druid decks, and for very good reason. This card not only gives you the ability to climb above AOE, but it also helps you push out damage and control trades on the board. There is a ton of versatility here, and it is important to know when and how you want to make that work. This card is all about looking for small windows and then jumping on them as soon as you can. You never know when you're going to have board, nor do you know when your minions are going to stick. 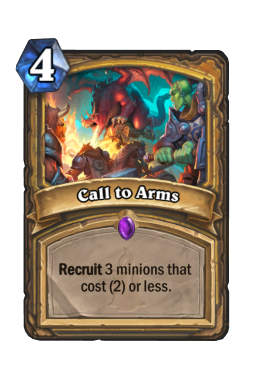 Unless you're specifically playing around a board clear, you should always take the chance to buff up three or more minions when you can. Realize what you need this card for. As we've covered many times in the past (and will cover many times in the future) you never need to go big just to go big. 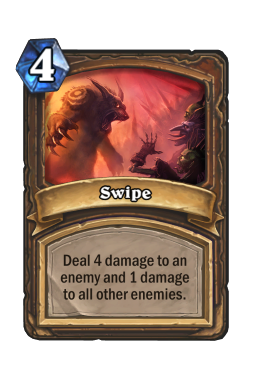 When you're up against control you want to use this card as immediate burst damage or AOE control, but against aggro or midrange you can use this to create some strong trades or push tempo. 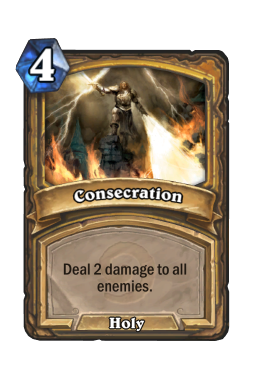 Buffing up two 1/1's to clear your opponent's board and set up another play is a fine use when you're fighting something like Paladin. However, against Warlock or Priest you can be a bit more greedy. In addition, making a 3/2 panther is not the end of the world. While it isn't the most exciting play out there, it can go a long way towards pushing early damage or giving you a strong threat towards the later stages of the game. 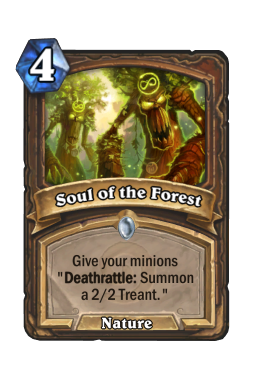 Soul of the Forest Another relic of metas past, Soul of the Forest is an interesting card that gives you a tremendous amount of insurance. Though this card has seen play now and then over the years, it has rarely had as much use as it has now. Being able to fill the board and then give your minions the soul deathrattle is extremely important for what this deck wants to do. Not only does that instantly blank AOE, but it is also incredibly useful against other board-centric decks. For example, using the spell on your board and trading out instantly gives you control of the game. 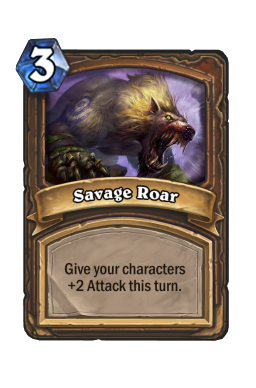 A bunch of 2/2's may not seem like the most exciting thing in the world, but they go a long way when you're running double Savage Roar . On that note, using this spell can also be a great way to ensure your future roars will stick. Something to realize about this deck is that you are going to have quite a bit of mana. It is easy to overlook, but ramp is very important here. 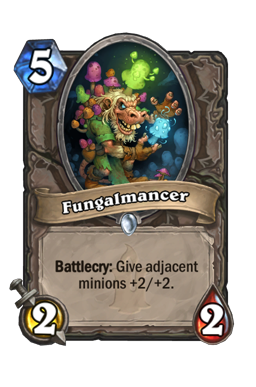 That is key to know because you are not necessarily a fast aggro deck like the older Token Druid decks you may be familiar with. You can take this game slow, and Soul of the Forest is a big part of that. There are many matchups where you will bide your time, fill the board, and then Savage Roar your opponent to death. While that does not work if you're only depending on fragile 1/1's or 2/2's, everything changes when your board creates a board of its own. Unless you specifically need to contest the board, you shouldn't shy away from holding off on flood cards until you can play them with Soul. You don't always need to go wide with the card, but it can be a great way to put your opponent on a definitive clock. Violet Teacher Ah, Violet Teacher , it has been so long. The 3/5 is easily the best tool in this list because, unlike all of your other options, she is a recurring threat. In fact, an unanswered teacher is going to be game over almost every single time. Understand that power and always try to get value from the four drop as soon as she comes down. 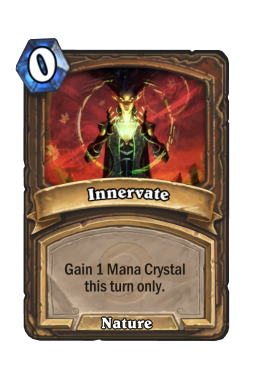 As there is no Innervate in this build, you need to go off with the 3/5 in a more natural way. She is one of the best ways to make use of ramp and gives you a powerful use for extra mana. 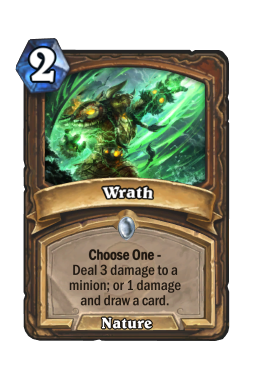 Plays like Teacher into Wrath into Power of the Wild are what you want to look for. It is not about getting a gigantic buffed up board. It is about getting a solid board that can go much higher if your opponent doesn't have an answer. 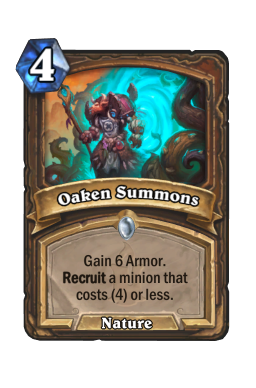 Remember that you can pull this card from Oaken Summons . You won't get it all the time (you also have to plan for Greedy Sprite ) but the four mana spell into teacher is a great way to get your combo pieces going. However, it can also be a big draw back. You want to flood with this deck, and losing a Violet Teacher because you aren't paying attention or because you roll badly on summons is not what you want to do. Sometimes you have to take a chance if you need the ramp, but most of the time you want to be careful with the spell. Think of it as a tutor card that can help you pull teacher with a bit more consistency as the game goes on. If you draw her with your expensive spells, great. If you don't, you can then grab her from the deck. The only time you don't have to worry about this drawback is when you're up against aggro and you want a road block. Wispering Woods A great newcomer to this build, Wispering Woods is yet another way to dodge AOE or set up lethal. Your goal with this deck is to flood the board as many times as you possibly can. You play a teacher and make some 1/1's. Your opponent clears. You drop woods. Your opponent clears. You play another teacher, and on and on until your opponent can't match you. That is this deck's plan, and it would not work without woods. A board of 1/1's is not scary on its own, but with all the support in this build it is going to terrify everyone you come up against. Understand that and never be afraid to use this to instantly recover from or bait out AOE. 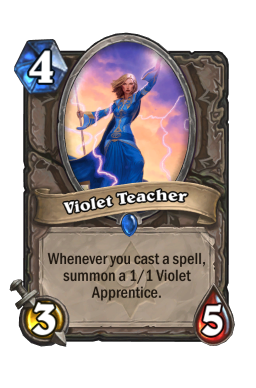 Using this to set up a next turn Violet Teacher is a great play, as is slamming it down once you know your opponent is out of options. Just don't pull the trigger when you already have threats on board. Yes, you are not Hand Druid, but you don't have to be to get value from the epic. 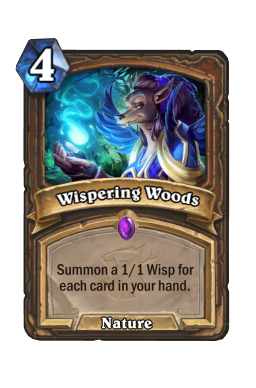 You only need eight cards in your hand to get full value from Wispering Woods . 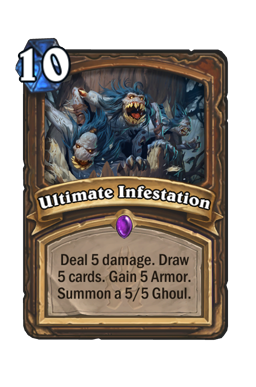 That is a good amount of cards, but it is not quite as much as it seems for a deck running both Nourish and Ultimate Infestation . Even if you don't have access to those spells, there are ways to get three or four 1/1's out of this (which is truly all you need to set up lethal). Just don't ever hold back cards or ruin your curve to try to get more value from woods. It can be tempting, but you just need to play your game. You will eventually draw into a spell that helps you fill up your hand. Yes, being able to get your engine going early is nice, but it is not completely necessary. As mentioned above, you can take your time if you need to. Spreading Plague We finish on what I consider to be one of the most important decks for the current meta. 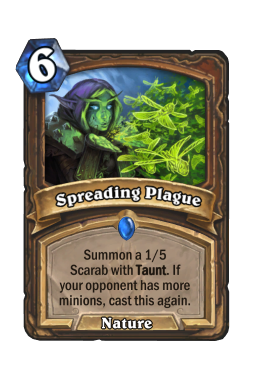 Spreading Plague has long been a defensive option in Druid decks to push back against aggro and hold off until they can get to their finishers. Though it can also do that here (I'm looking at you, Uther) it is also one of your strongest offensive plays. Do not think of your minions in this deck as minions. Rather, view them as bodies to hold Savage Roar . In that way, attack simply does not matter. You just want things on the board, and a board of x/5's is incredibly difficult for your opponent to clear. Furthermore, roar allows you to leverage the beetles as threats without committing any extra resources to the board. For example, let's say you get three or four scarabs against a Warlock or Warrior. If they clear, fine. You only played one card and you can then refill in any way you want. However, if they don't pull the trigger, you can then roar them to death. It is a lose-lose situation for your opponent and one that works incredibly well in your favor. Typically you want to get three or more beetles against control, and against aggro you want to run them out as soon as you have a favorable game state. 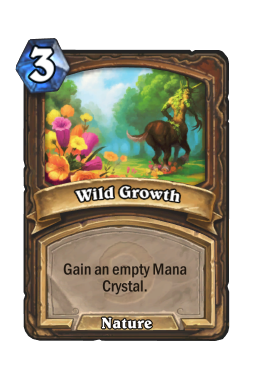 Also realize that this card is a great target for both Soul of the Forest and Power of the Wild . Even without roar, a board of 2/6's can end the game on their own. The four decks I see the most while playing the ladder. Control Warlock It seems that, barring any pending nerfs, Warlock is going to be at the top for a while. Control and Cube are both quite popular and each of them are extremely powerful. However, while things can get bad for you in this one, you have a big advantage through your burst. Warlock is a strong deck, but they don't do anything of note until turn five. That is extremely important to know because if you can ramp up pressure on the board before that, you can Savage Roar them right off the face of the planet. 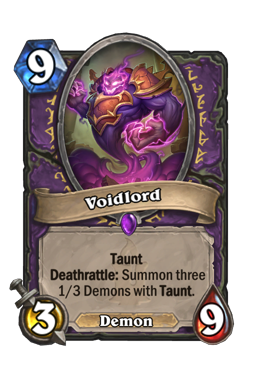 Even if they do manage to stick a mid-game Voidlord , your stronger combo cards can chip it down. 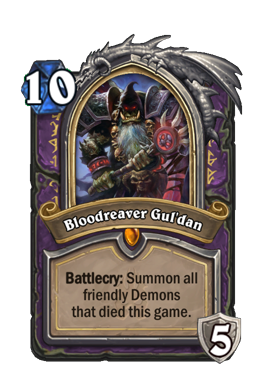 This game only truly ends once your opponent plays Bloodreaver Gul'dan . You want to wrap things up by turn ten. That may sound difficult, but it is more than doable if you manage to play around AOE and make good use of Soul of the Forest . Everything in this matchup should be built towards applying pressure. 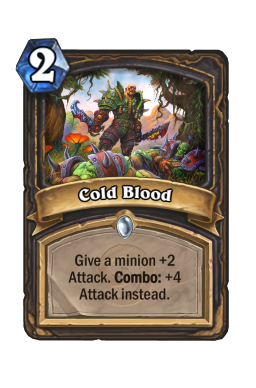 That does not necessarily mean putting on a lot of damage (though it can) but it means setting up your minions in a way where if your opponent doesn't answer them they can die to burst. Even if you don't have burst in your hand, your opponent will constantly think about it. 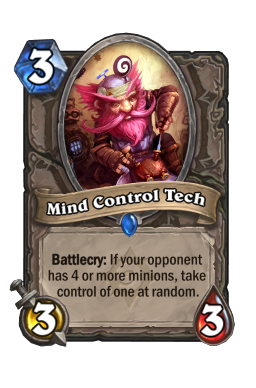 That means you can then use small minions or cards like Wispering Woods to ensure that your opponent goes off of their game plan and focuses on controlling your board. Remember, the more time Warlock spends investing resources into board control, the less time they have to combo off. And that's truly all you care about. While a cubed Voidlord can quickly put you out of the game, you will always have ways to bounce back when going up against some of their slower pieces. Spiteful Druid I'm not sure if it was just the Legend Ladder, but I saw a ton of Spiteful Druids towards the end of last season. This deck continues to rise in popularity, and it has completely taken over as the strongest archetype for Malfurion. The way you win this game is simple: ignore your opponent. That may not be something you are used to doing, but, beyond Mind Control Tech , Spiteful is helpless against the swarm. If you try to play their game you will only succumb to their incredibly powerful late game options and huge bodies. Rather, you want to run out all of your cards as soon as you can to make sure your opponent's back is constantly against the wall. As with Warlock, that will then force them into a position where they either stick to their gameplan and die, or abandon their curve completely. Everything in this one should be about pushing ahead of turn six. 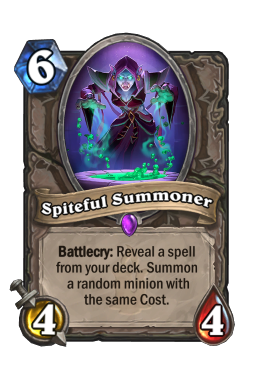 Spiteful Summoner puts out a ton of power, and will likely give your opponent numerous ways to flip the script and put pressure back on you. You cannot let that happen because once it does things quickly slip out of your control. Instead, you need to fight to generate a big board on turn five as a way to deter any summoner shenanigans. Taking things slow is always fine, but against Spiteful decks it can put you in a pretty tough position. 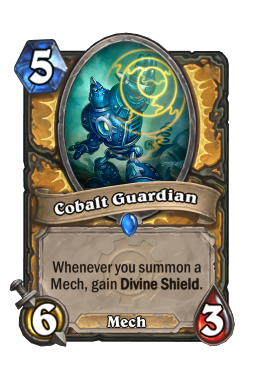 All it takes is one Fungalmancer or Cobalt Guardian to push you back for good. As such, you need to rely on your ramp and do everything in your power to get more mana crystals than your opponent. Your ramp is your advantage and you need to lean on it as much as possible. Paladin As I'm still on the fence about if Even or Odd is more popular, I've decided to lump both common Paladin archetypes together. This matchup should be one of your more favored games. Not only can you easily match Paladin's board flooding, but you also have ample removal options that clear out 1/1's. This game, though it may feel like it out of the gates, is not a race. You have a lot of trump cards over Uther, which means you don't mind if the game goes a bit long. Spend your turns chipping down your opponents recruits and never let them build towards a Level Up! 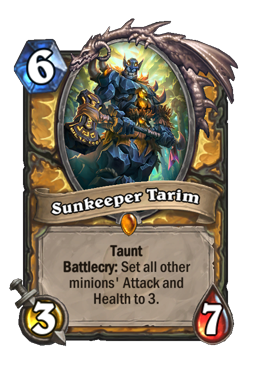 or a Sunkeeper Tarim . Those are the two ways they fight against your wider boards and you never want to get caught off guard. Your best card in this matchup is Spreading Plague . So much so that it can end the game outright. Odd Paladin has absolutely no way to deal with the card, and Even has to work hard to fight through it. As soon as you can get three or more scarabs, you should pull the trigger. Beyond plague, Wispering Woods and Violet Teacher are your best cards here. 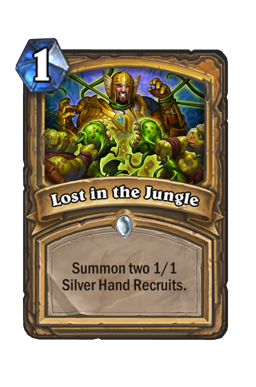 Being able to flood the board against Paladin instantly gives you a way to control trades and allows you to chip down strong tempo plays like Call to Arms or Lost in the Jungle /Baku Hero Power. Your goal against Uther is to go a bit longer than normal and then play burst once they're out of resources. To do that, you need to make good use of your flooding options and swing spells. 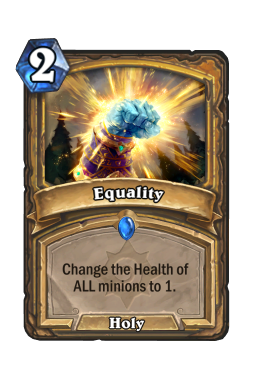 Just be aware that Even Paladin does pack Equality /Consecration . Never overextend of invest too many resources into a board when you don't need to. Baku Rogue Holding incredibly strong at number four, Baku Rogue is a deck that I imagine will only get more popular as the weeks go on. This build, which started out as a pure aggro deck, has adopted a lot of tempo tools. Though they are still blindingly fast, they are no longer one dimensional. That means they can go long, and they also have tools that allow them to be more resilient. 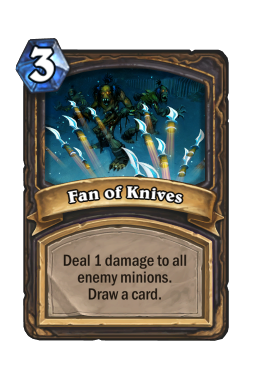 Even so, outside of a few lists teching Fan of Knives , they have extremely limited AOE. For that reason, you goal is to flood the board here as quickly and as efficiently as possible. 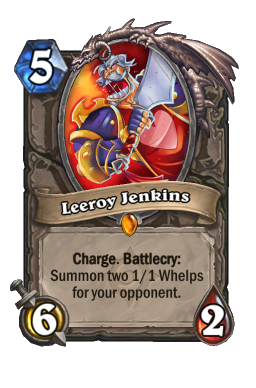 That will make it so that, not only can you trade out and keep your health up above things like Leeroy Jenkins /Cold Blood , but you will also be able to apply pressure of your own. It is quite tough to get Rogue to pay attention to you, but that is your goal here. Trading should always be your first mode. Rogue is much faster than you and they will punish your plays if you ignore their threats or try to get greedy. Rather than taking the aggro or midrange route, you want to lean towards control at first before getting aggressive. Steadily answer everything your opponent puts down and grind them out of cards. Once they enter topdeck mode, you only need one big flood play to lock them out of the game. There are several strong cards in this deck, but mulligan priority should be skewed towards ramp. 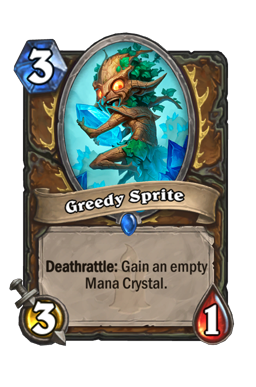 Wild Growth , Wrath , and Greedy Sprite are the three cards you want to look for in every single game. Swipe is great against Paladin, as is Spreading Plague if you have a good opening. 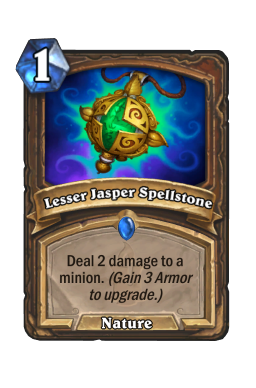 Violet Teacher and Wispering Woods are both great on curve with cheap spells, and you should keep Lesser Jasper Spellstone when you're up against faster lists. 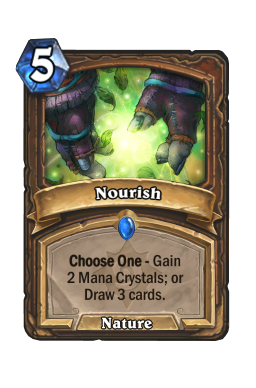 Token Druid is not an archetype I've been too enamored with in the past, but this is an extremely cool version of it. Not only does it have countless ways to be both offensive and defensive, but it also comes with a strong package that is rarely used. As an aggro deck, these can be a bit too one-dimensional for me. As a midrange engine, they are quite fun. If you like token decks, this is one of the most interesting I've ever played. 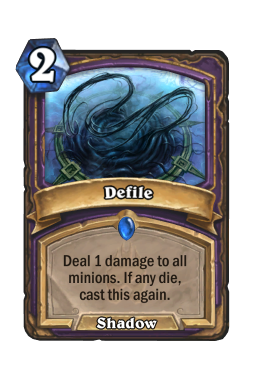 Until next time, may your Warlock opponent's never draw Defile .